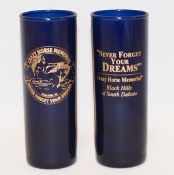 A beautiful blue mini-vase with gold lettering. 4" tall. Made in the USA.